Awesome time riding around Point Loma, San Diego with Tony as our guide. The route was scenic yet had many chances to put the power down with few lights to stop at. We stopped at some of the best views of San Diego bay and the marina. The bikes they were new, comfortable and smooth and Tony made sure they were all custom fit to our measurements. I would totally recommend to see San Diego with Bike Ride San Diego and would come back and check out another location on the tour list. The very best combination of everything good about cycling. 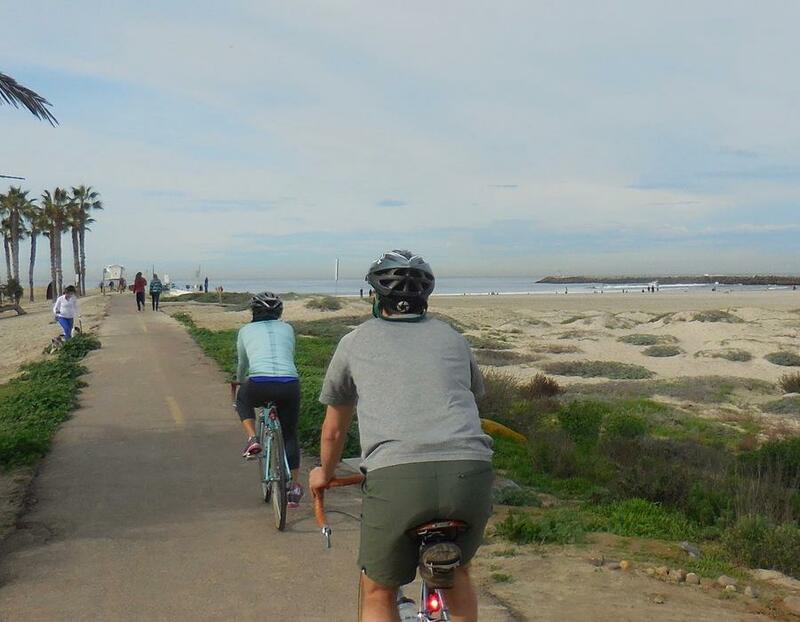 Starting at Robb Athletic Field we take the San Diego River bike path to Dog Beach and Ocean Beach with its “frozen in time” lifestyle. From there we pass along Sunset Cliffs that take their name from the orange sandstone from which they are made. Next an at times steep at times meandering climb to the top of the peninsula and Naval Base Point Loma which is always scenic. 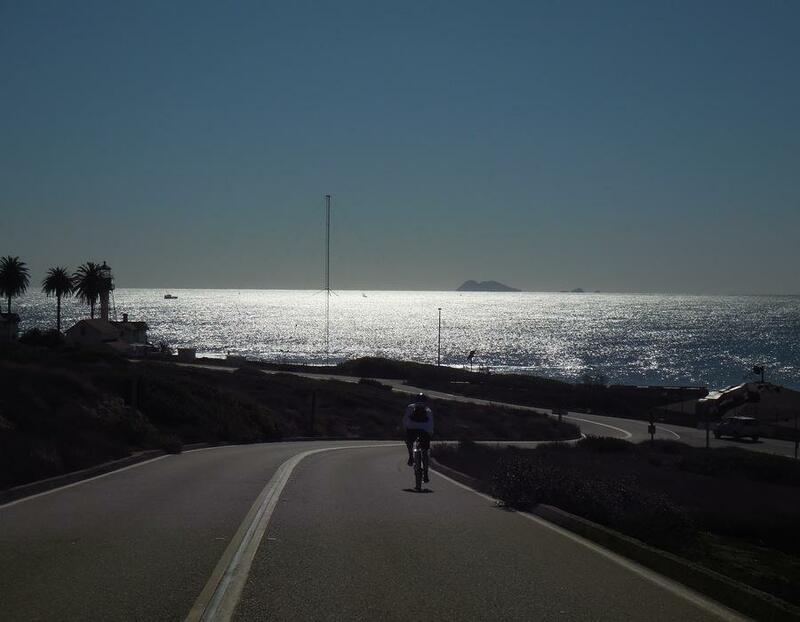 Point Loma Naval Base combined with Fort Rosecrans National Cemetery are the purest cycling experience anywhere in San Diego; smooth roads, rolling hills, light traffic and awe inspiring views make it an unforgettable experience. 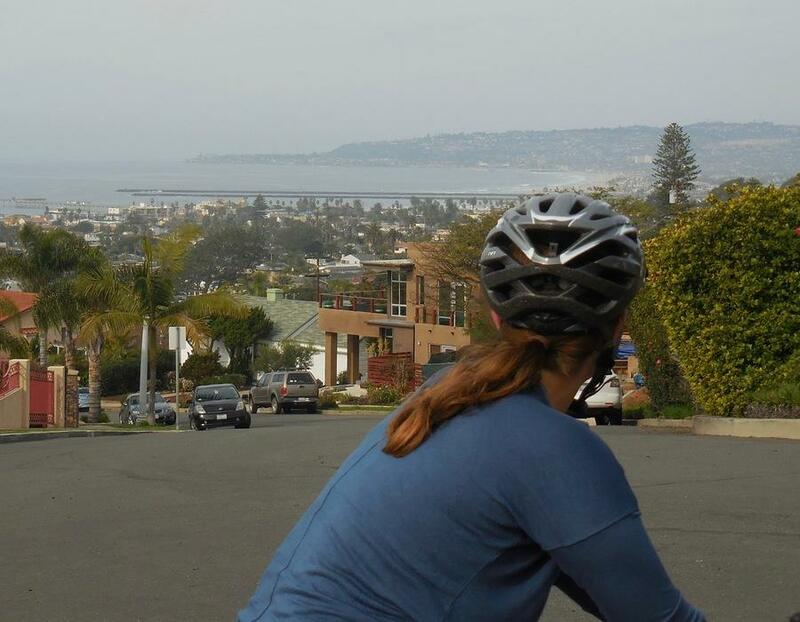 At the end of Point Loma we’ll visit the Cabrillo National Park to see the Cabrillo Monument and the Old Lighthouse before we ride down the western slope to sea level and the tide pools. 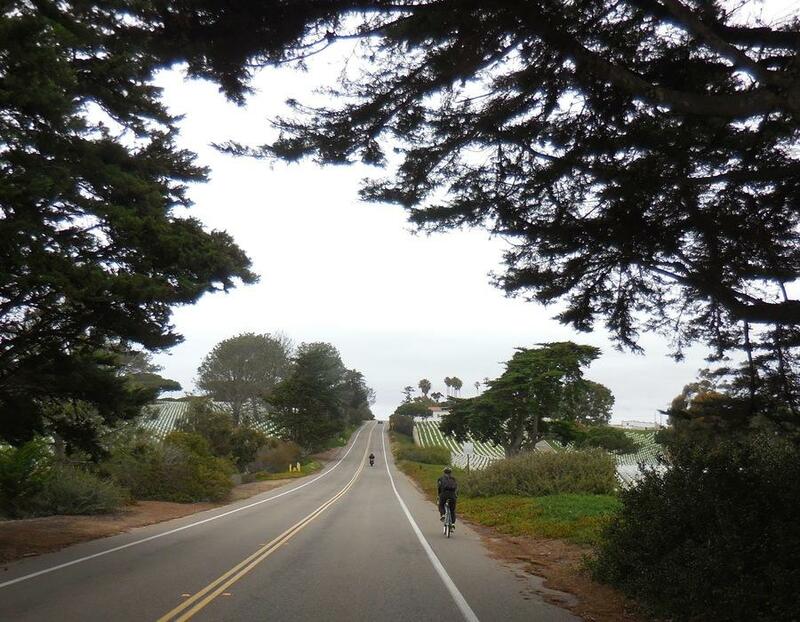 We retrace our route back to the top of the Point through the Cemetery and Naval Station to a descent on the bay side of the Point with dramatic views of Shelter Island the harbor and waterfront. We wrap up with a strolling cruise through historic Liberty Station before our final stretch along the San Diego River to our starting point at Robb Field. Good riding skills and good fitness are needed for this ride. Two significant climbs and long descents require moderate riding experience and good fitness to complete and to appreciate the ride as a whole. Ninety five percent of the ride is on roads with light traffic, a few spots have heavy traffic. Most but not all of the roads are in good condition. There is a short bike path and shorter bike/walking trail that require technical riding skills and we dismount to walk down four steps at one point. This route provides a delightful variety of challenge and reward and beautiful views that cyclists associate with the greatness of their sport. This ride is accessible to a rider with moderate experience or someone in good physical shape. 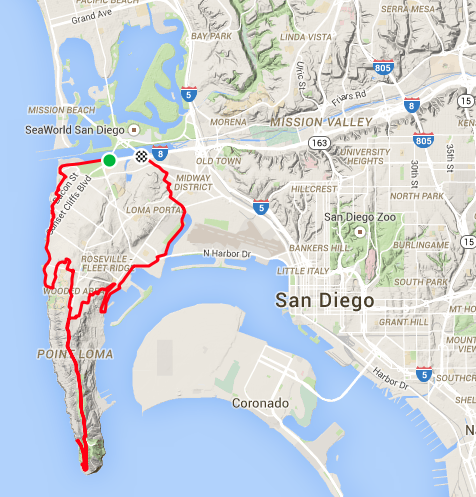 This route has two significant climbs from sea level to the top of Point Loma. 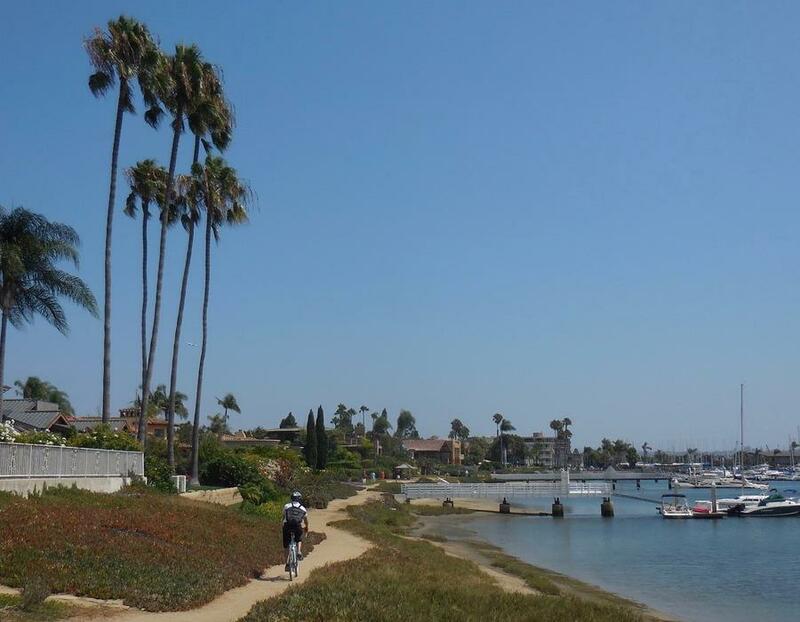 Other features include: San Diego River bike path, Ocean Beach community & pier, Sunset Cliffs, Point Loma, Fort Rosecrans National Cemetery, Cabrillo National Monument and the tide pools, San Diego Bay and Liberty Station. A mid-morning start time is recommended although this ride allows for the greatest flexibility in start times. We can stop in Point Loma or Liberty Station for coffee and something to eat if desirable. We will stop along the the route for water and restrooms as needed. Variations to the route are possible to shorten the ride if needed.